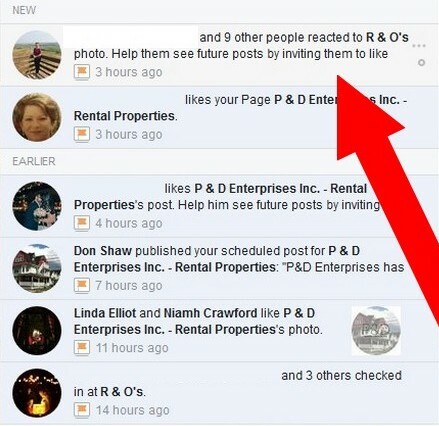 Non-followers of a Facebook business page, “like” a post or image, Facebook notifies the business page administrator, editor, and or manager offering the option to invite the person to, “like” the Facebook business page. Often overlooked in the course on a busy Facebook page, inviting people helps grow the page. Every person who follows the business Facebook account opens up the users,”friends” to also like the page widening the audience with every accepted invitation. Depending on individual settings the user’s friends may see a notification the friend likes the business Facebook Page. With something like an average of 150 friends per user, an invitation becoming a Facebook follower adds to the number of people a business reaches using Facebook. One quirk to watch, though, Facebook provides more than one, “list.” The option to invite is specific to one post or picture.One notification is not all-inclusive. While other invitee’s and their status appear with each notification, be sure to invite using each specific notification to avoid missing the chance to invite every possible person. Helpful hint: use the Facebook Pages app on a smartphone or tablet, pop-up blockers may make interfere with completing these tasks on a desktop or laptop computer, use the video below for an easy step-by-step tutorial.